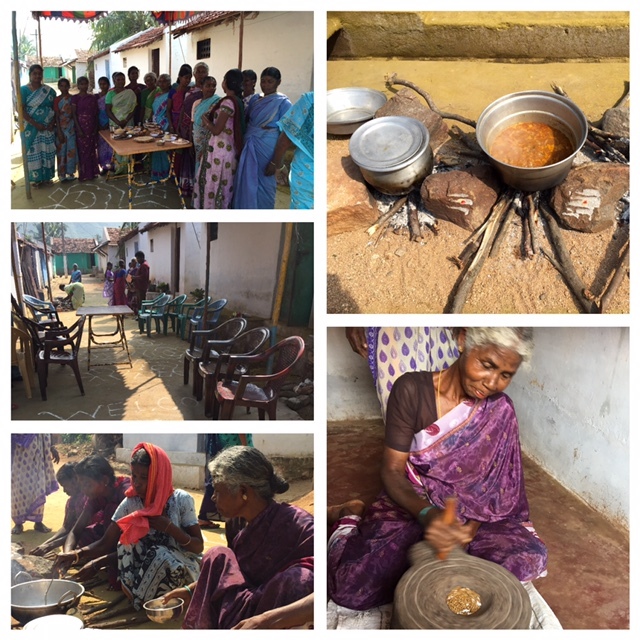 7weeks in India – The tribal cooking invitation – Go India, go future! Arnattokadu, Kalekkadu – these are the names of two small villages in Tamil Nadu, South India I have visited in the last weeks. During the visits these women showed me their houses, told me about their lives, their self-help groups and how they want to create their own future. I learnt also about their challenges, poverty and missing education level which is one of the biggest barriers when it comes to finding a good job that really gives them an opportunity to have a better life. 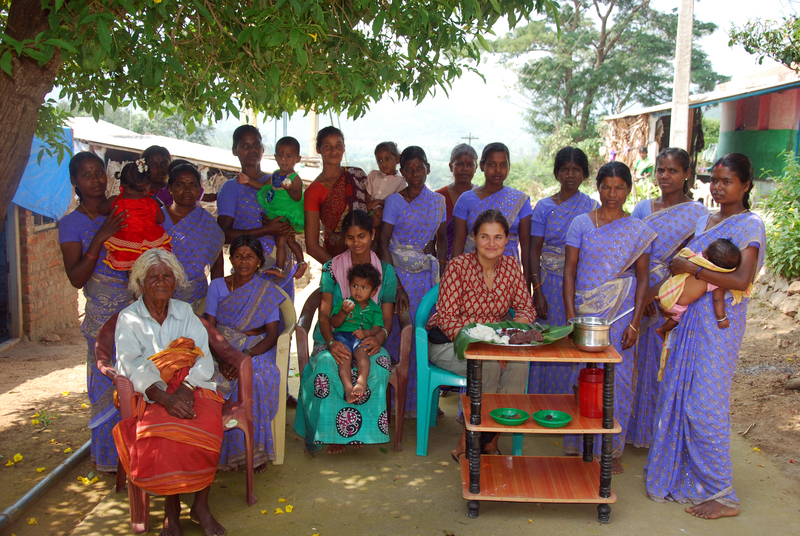 In the last years with setting up their self-help groups they have developed a lot. But malnourishment and a huge dependency on third parties is still there. I am very happy about this invitation. It is not just the tasting and curiosity to find out about their traditions, but for me it is also a very emotional moment. A moment of human relationship “across all borders” of nationality, social level, educational differences…. Additionally, I really enjoy that they have taken the initiative. Together, as a group: they are motivated to try new things, to build up something as a team – even they might not have the best Settings to do so (some of them are illiterate, most have a very low school education only). This obvious willingness to develop makes them to real changemakers. When we left one of the women gave me a hug, the first time in my life I got a warm, strong hug by a tribal women. I will not forget this moment that easily. In the second village, a bigger village with ca.30 houses they had prepared a huge welcome on our arrival: A function-like welcome. One of those functions they celebrate from time to time in their villages. 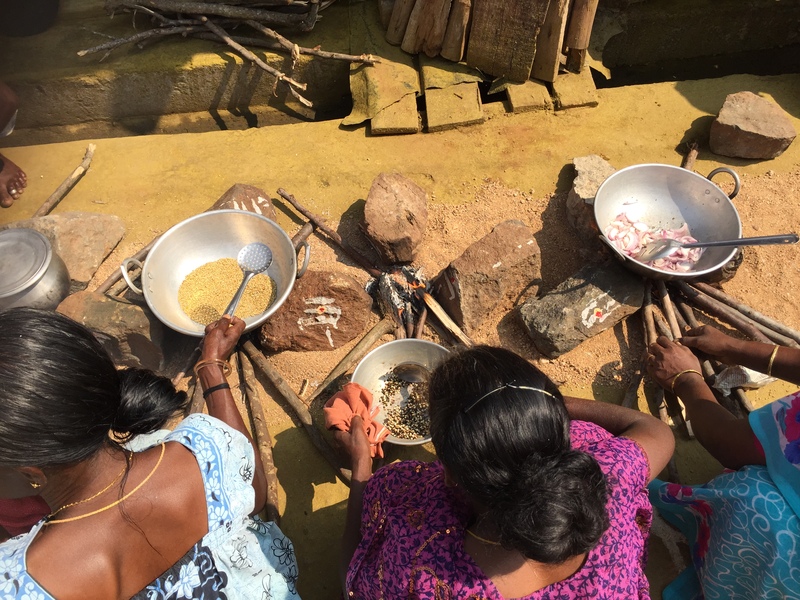 They had not started yet to cook because they wanted me to show how they prepared it all: adjusting the fireplace with Hindu praise, melting the grain, cutting the coconut in small pieces with a piece of wood and knife in front, mixing and forming certain ingredients. It was a huge event – and so many things to discover. Also here the lunch was very tasty and the women very proud and honored. The meal ended with a dance and a song presented by the women – very powerful and peaceful at the same time, and with a lot of smiling faces. Thanks, my tribal women. I am sure I will come back and visit you again!